Nepal concedes 70-run defeat to host Thailand in Women's T20 - Integration Through Media ....! 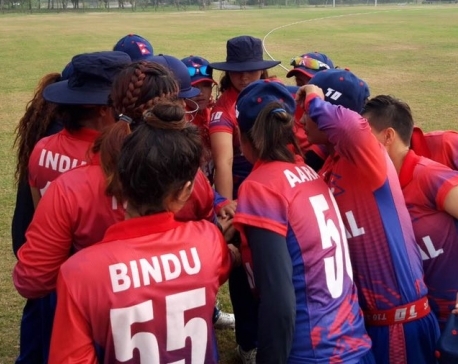 KATHMANDU: Nepal conceded a 70-run defeat to host Thailand in the final match of Women’s T20 Smash, 2019. Nepal, which earlier had thrashed Thailand by nine wickets in the group match, began with poor performance, reducing to only 51 runs in 17.2-overs at the loss of all wickets. Invited into bat first after losing the toss, Thailand started it in style from the very beginning. For Thailand, Nattaya Boochatham smashed the highest 69. Likewise, Naruemol Chaiwai contributed 27, and Chanida Sutthiruang 19, to bring the team to spectacular victory.